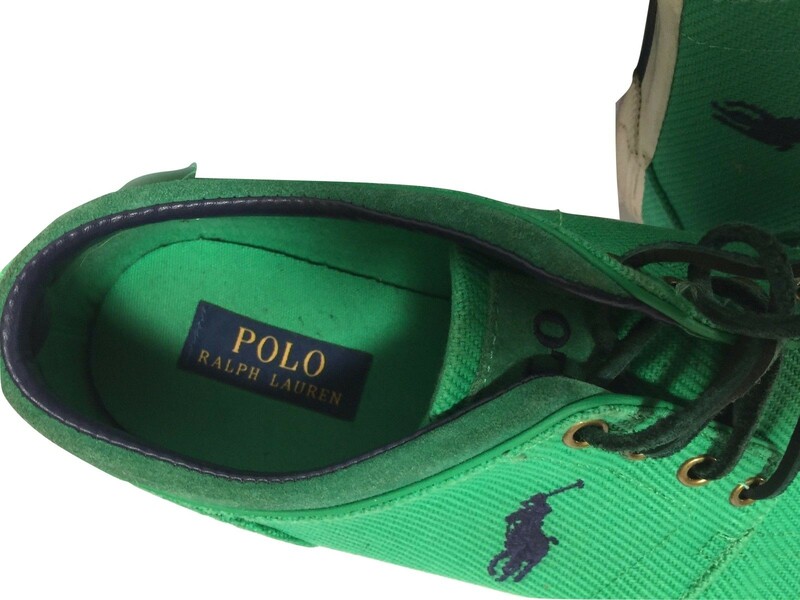 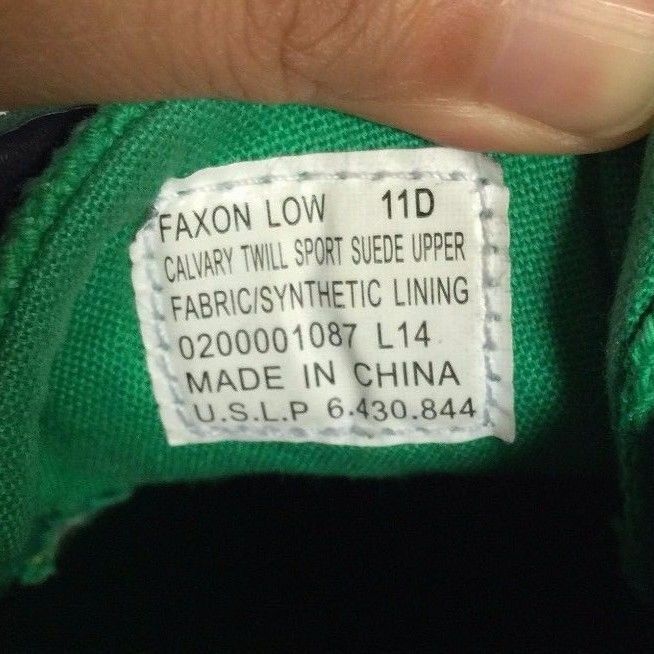 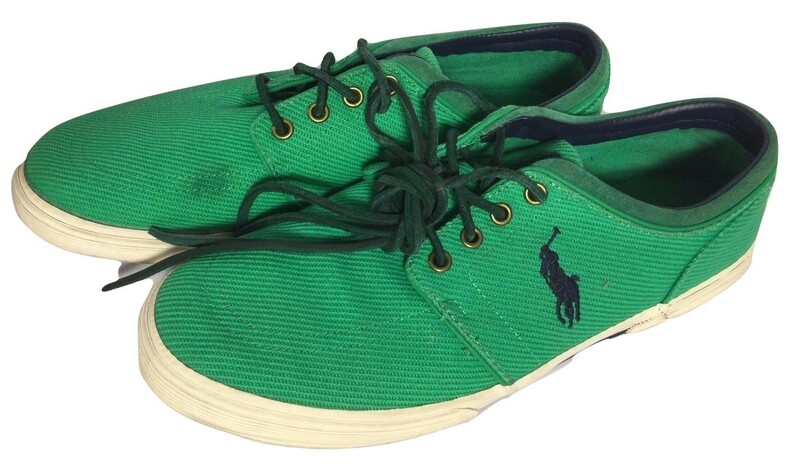 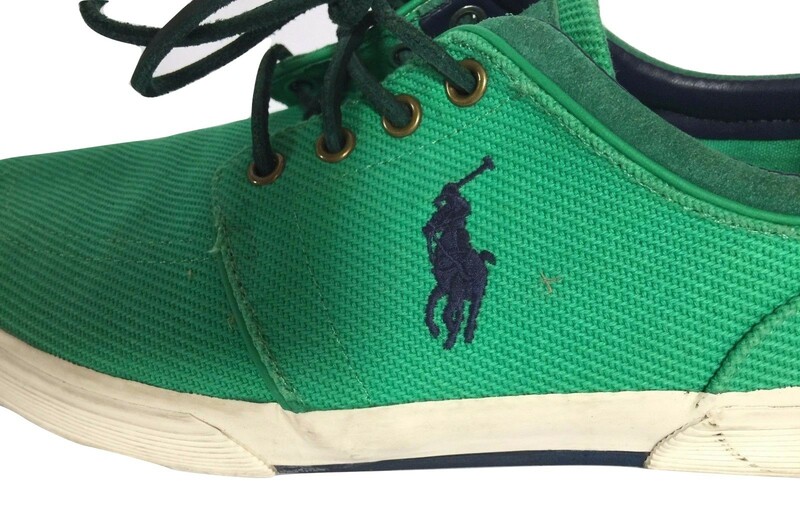 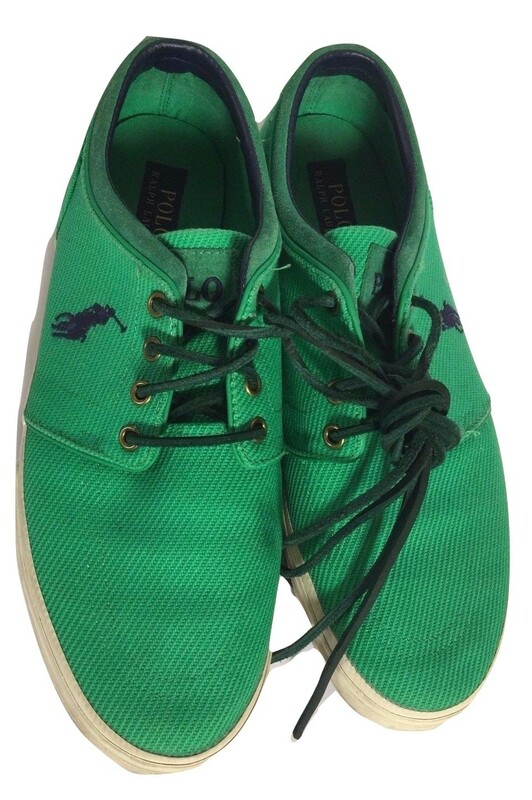 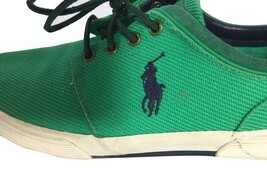 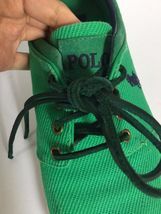 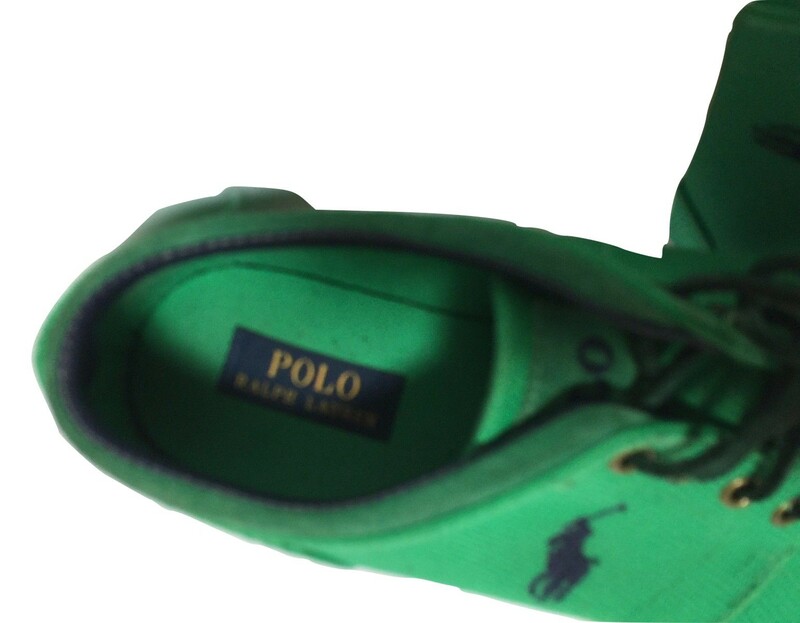 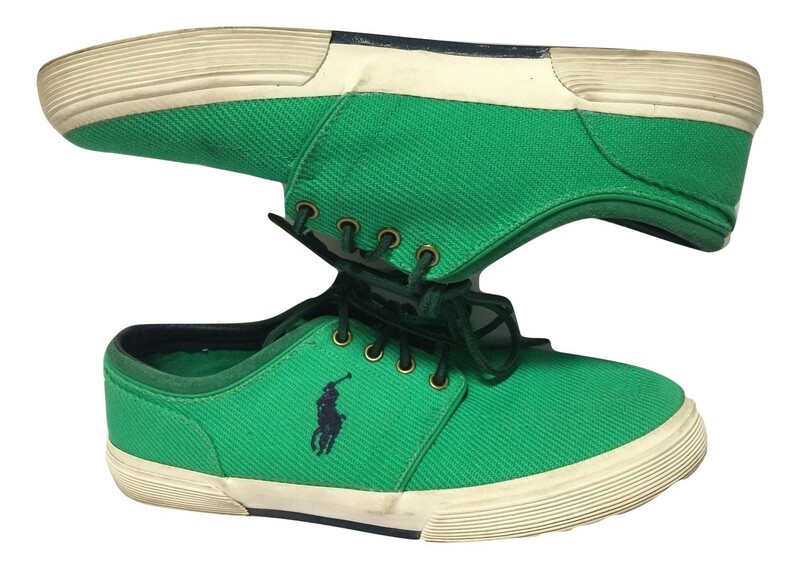 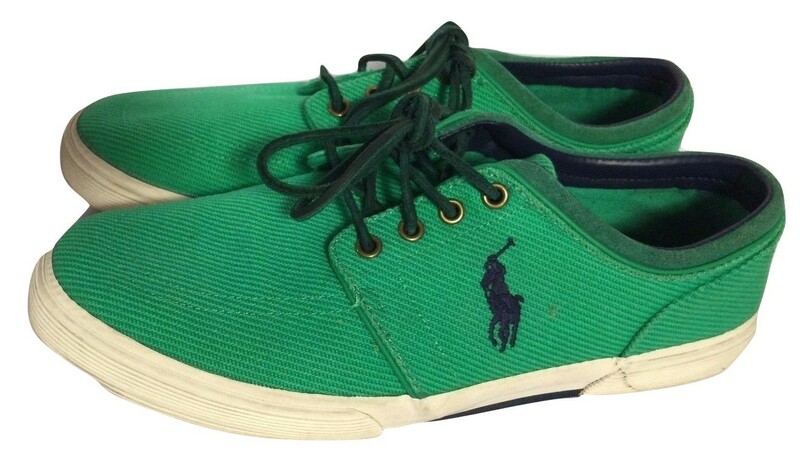 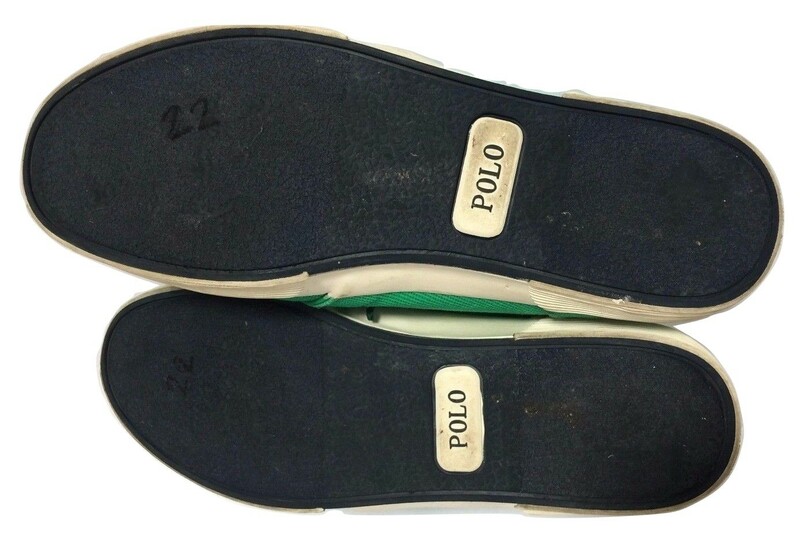 Polo Ralph Lauren Faxon Low Bright Green Canvas Casual Sneakers Shoes Sz 11D Gently pre-owned. 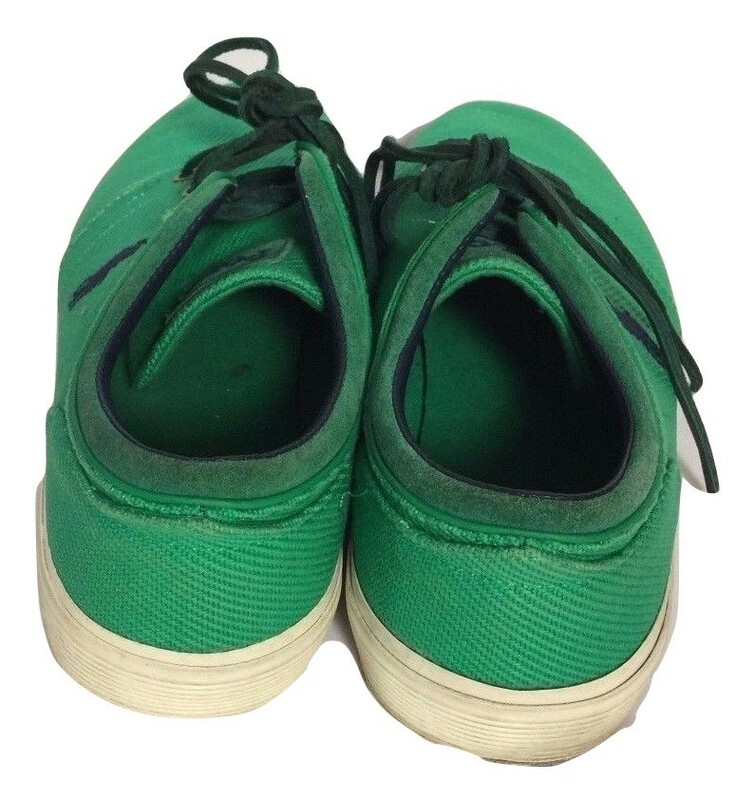 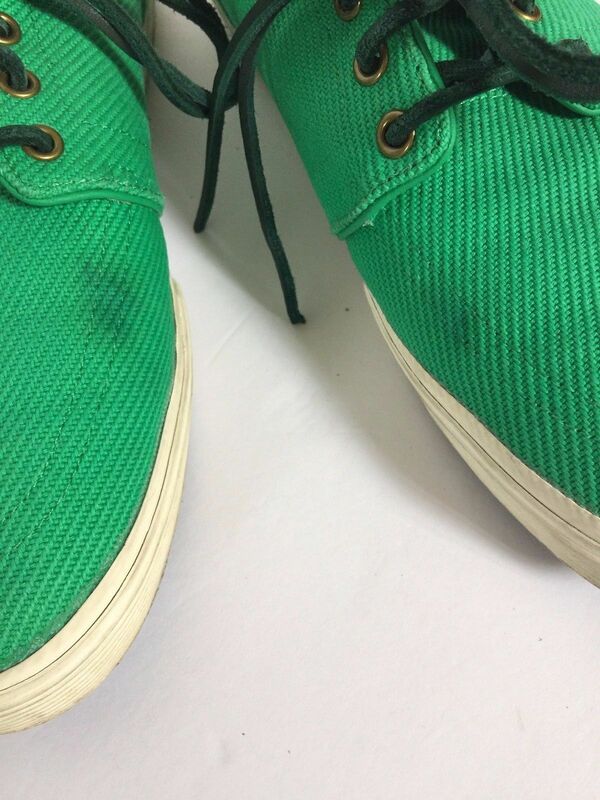 Shoes have been worn and show some minor wear and cosmetic damage as shown. There are some small dark smudges on the toe box area. I don't know if it can be washed out or not. Sold as is.